Italy, Europe, Americas, Australia: wherever you want to go, there's always a flight that's right for you! Well, almost always. Let's face it honestly. Dead times, waiting at check-in, and repeated checks at the gates will also be upsetting, but ... there is no doubt that the plane remains the most convenient (and sometimes inexpensive) way to travel. However, it is not always easy to find the offer that best suits our needs; above all, it is not always possible to move in the complex universe of airlines. With the advent of Low-Cost, often, a destination is reached by two, three or more vectors. It is really prohibitive to look for them one by one. As if this were not enough, a single city is served by at least two or more airports. 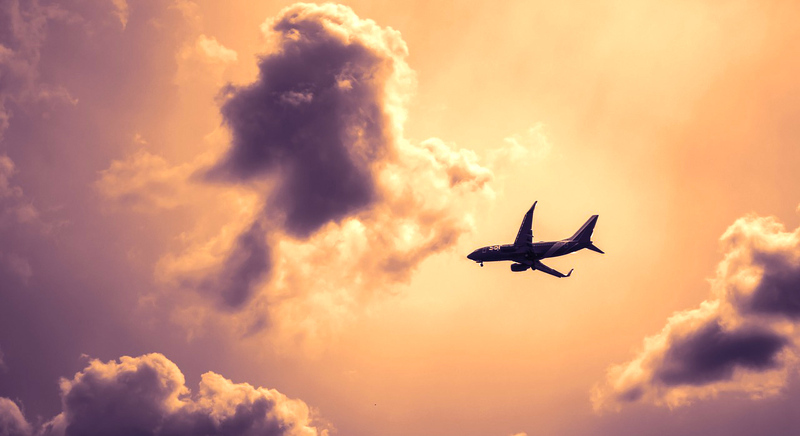 Just to meet your needs, here is a practical Air Travel Guide; we want to offer you some tips to be able to get the best possible price. We invite you to read the article all the way. The first thing to keep in mind in this Flight Booking Guide is to start from the search engine. Never limit yourself to using just one: you will notice, in fact, that for the same flight prices are almost always different. There are good and less good, but do not believe that there is the best ever, even if we at Kanoa, we have our preference. When the purchase is completed, the airline recognizes commissions for price comparators; the latter, in turn, recognize commissions to affiliates (in this case, we at Kanoa). Of course, found the relevant flight through the comparator, it is appropriate to see directly on the official website of the individual company; it is likely that you will save. Someone will ask, therefore, why we at Kanoa should tell you this, going against our own interests? Simple: we prefer not to earn anything by receiving an excellent publicity, rather than earning a few pennies and your reproaches for paying more. Mind you: this is the rule; not infrequently, however, it is possible to find a cheaper price on the comparator! It is possible that the search for the same flight, with the same comparator, made a few hours away, produces a different result. It can happen: there is no mistake. And do not ask why: these are things that happen! 4: IT'S A JOURNEY, NOT A TRANSLOCATION! More things boarded, more paid. On this there is no rain! Stop for a moment and think: is it really necessary to bring all those shoes? Of the cosmetic bag, lipsticks, lip glosses, body creams, lotions ... can I do without them? The wool sweater with attached sheep that has expertly basted my mother, can stay at home? Where were we? Ah, to the suitcase. If you can, embark on one (do not, however, as my cousin Dario, who, in spite of saving, closed the son of 7 years in the hold baggage, but when he knew he had to pay the excess weight surcharge (by the way, Gigione, his son, weighs 57 chili !!! ), he magically made him get out of the suitcase!). In summary: too many suitcases, higher price; suitcases too heavy, higher price. Take a look at ours SPECIAL AIRLINE COMPANIES, so be prepared! Well, in this case there is little to say: whoever arrives late, badly lodges. Book well in advance and you will get the best rate. Some urban legends argue that certain companies, booked on a certain day of the week, at a certain time slot, are extremely advantageous: method never successfully practiced by us, but, if anyone had advice about it ... we would gladly accept them! Then choose, if possible, flexible dates: you will save! When paying, look carefully at the rates: paying by debit card, credit or prepaid card is not the same. With the right card, you get to save a little bit (no, you will not save the cost of a night at the hotel ... a few euros, but why pay more?). Our final choice falls on the most efficient, reliable and super-competitive engine: Skyscanner. This is, above all, a serious search engine that does not apply hidden fees and commissions but simply directs you to the partner site. Now, you are ready to walk with your feet! Notify me via email in case of replies to my comment.